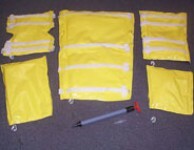 Light weight Splint Kit for sports, outfitters, Athletic Trainers, and Emergency Responders. This kit includes a deluxe extremity vacuum set (Arm, Leg, and Wrist/Ankle Splint. 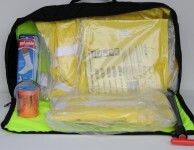 These kits are effective in extreme weather. 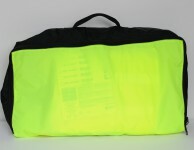 Other items that are needed are included in this kit see description.